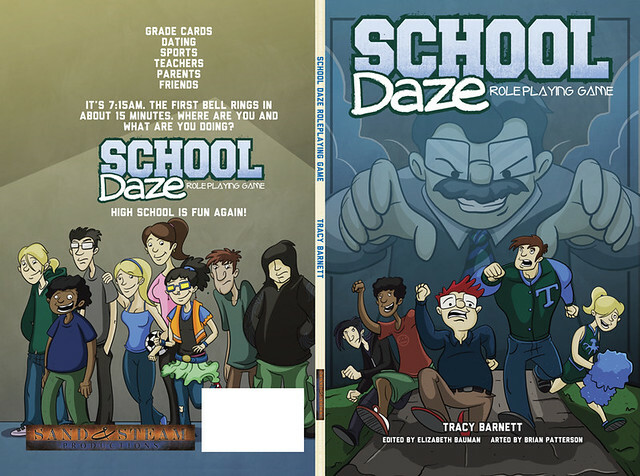 Several months ago, Tracy Barnett tapped me to do layout on his new John Hughes/high school RPG School Daze. 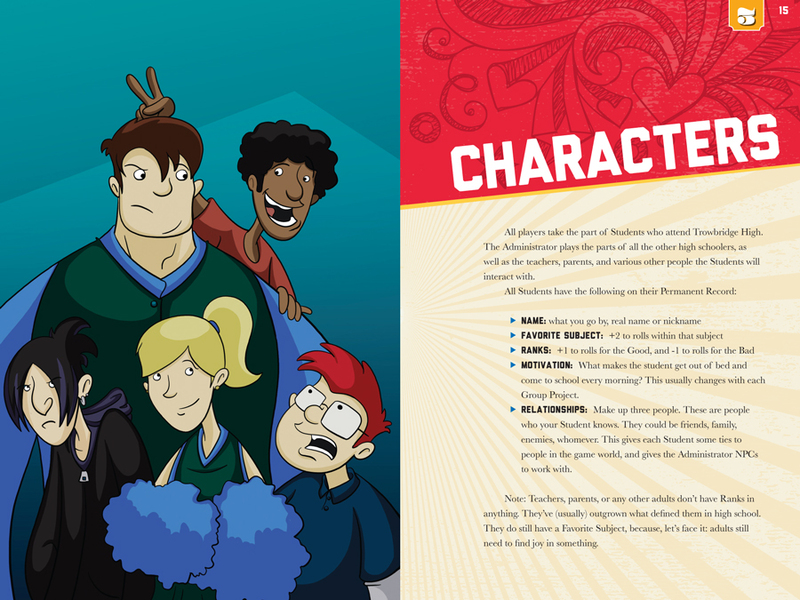 I'm happy to announce that the layout is done and this baby is off to print. 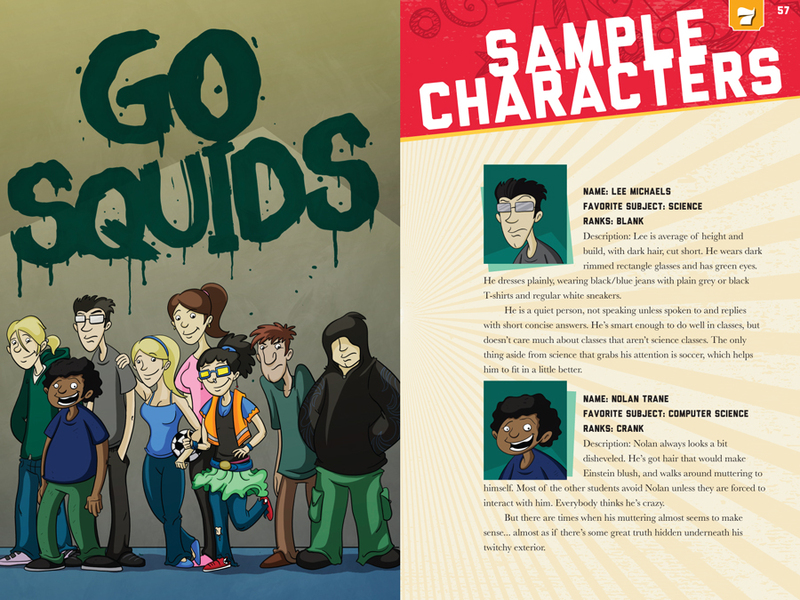 Brian Patterson did the illustrations. 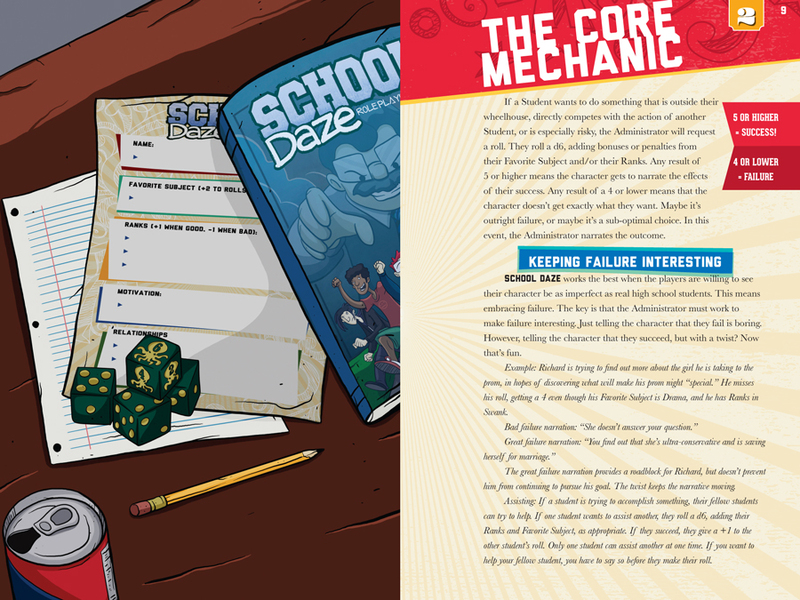 Because this would be primarily a PDF product, with options for POD printing, I wasn't so scared of going full-color edge-to-edge. 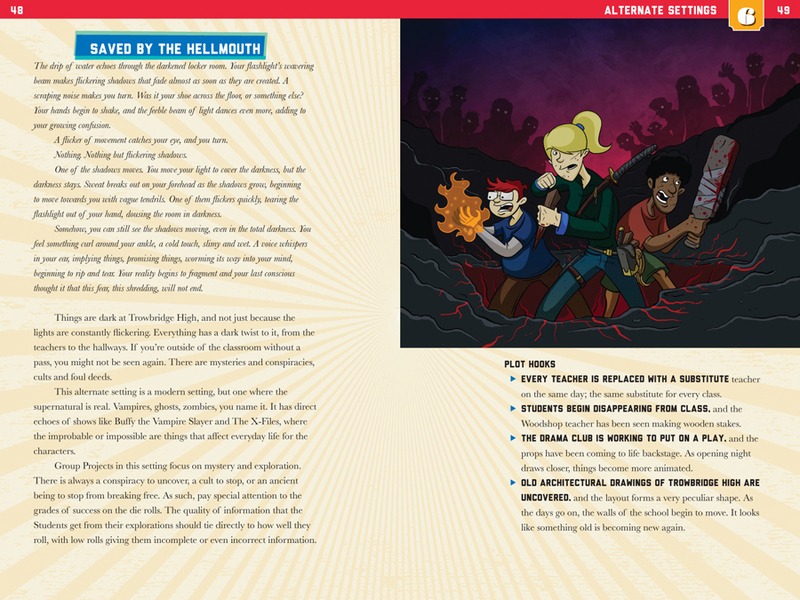 I pulled a bunch of idle high school doodles into the background elements and channeled my inner 90s kid with some of the header treatments. Hopefully I don't date myself too much with this design, though. Mainly I wanted to make a nice showcase for Brian Patterson's art. He's got a great style that's developing into something really special. And holy crap is he fast! There are literally dozens of unique headshot portraits he had to draw to spec in just a week, but sure enough he pulled them out. Really good job there. Elizabeth Bauman edited the text, making sure everything made a lick of sense. Designers, you ned editors. Beleive me on this on. 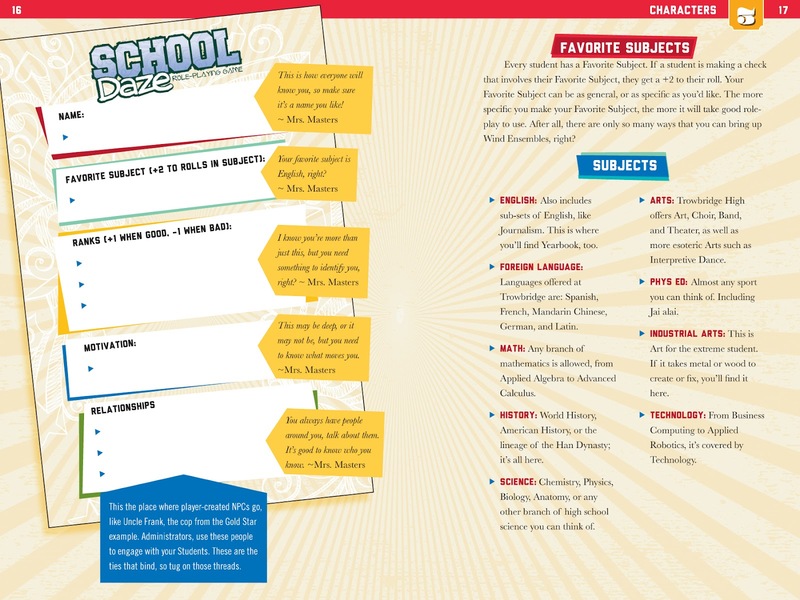 Check out the preview spreads above and find out more about School Daze. "Designers, you ned editors. Beleive me on this on." Bah, that was my post, it just auto-posted it while I was signing in.